If there is one summer accessory that everyone notices, it's your shades. So make sure to make them count by finding the right fit for your face. Now Glasses.com is making it super easy with a free 3Dfit app for iPad. This awesome app allows you to try on hundreds of frames in less than a minute, while the 3Dfit technology uses facial mapping to produce a true to life view of your face. That means - you can actually see how each pair of frames fits you, in 3D! How cool is that?! I tried this app a few weeks ago, and it was so fun and easy to use. You can literally play with it all day comparing frames using side-by-side images, or sharing the images with friends and family so they can give their input. I'm telling you -you got to try it! It made finding my new Chloe sunnies so easy, and what's best - I already knew what they would look like on ME! 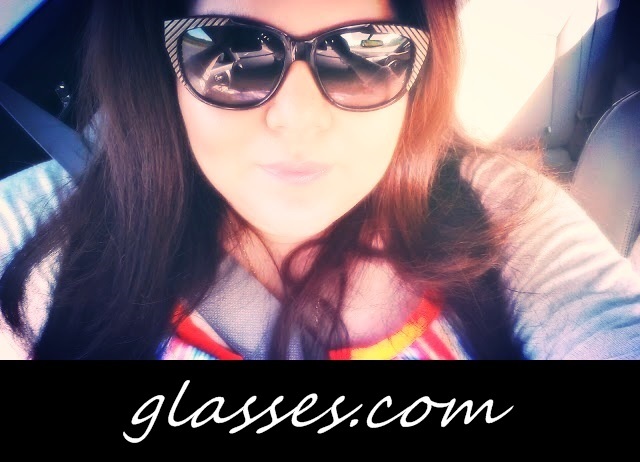 If you aren't familiar with glasses.com you need to be. STAT! They offer a huge selection of eyewear and sunglasses, (prescription or not), including top brands and styles. Plus they offer free shipping both ways, and a free-in-home try-on service that lets you pick 4 frames to keep for a week, and see which ones you like best! The glasses.com iPad app is available in the Apple store. iPhone, Android, Android tablet, and web versions are coming soon. Wow..love these glasses and what a great idea of app for checking out the fit before buying! Glasses.com seems like a great option for buying glasses online! Hope you are having a wonderful day! These sunglasses are looking very nice but I want to make that can these designer UK glasses are able to block UVA and UVB rays of the sun and provide full protection to your eyes? If they are not able to do this then I never buy these sunglasses.